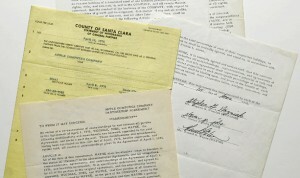 Last month it was announced that the original founding contract for Apple would be sold at auction this month, originally analysts and experts predicted that it would sell for around $150,000 but when the actual auction came up it sold for much much more. The contract officially sold today for $1.6 million dollars to a wealthy CEO of a bank. 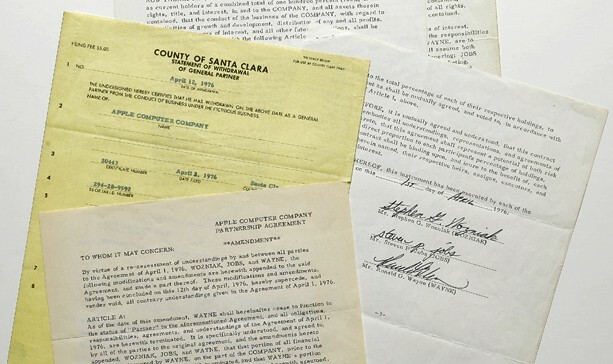 The contract is an incredibly important document in the history of Apple, many people though that Apple may bid on the contract simply to hold on to the history but this was not the case. None of the original founders bid on the contract either because they felt it simply was not worth the money. Either way the incredible amount of money garnered by the sale is absolutely outrageous for just a contract signed by Steve Jobs, Steve Wozniak, and Ron Wayne.